May 20, 2013 May 22, 2013 by midgeguerrera, posted in Food - Eating In and Out! Everyday can be a culinary adventure! My nephew Nick was flying in to meet the family and see Pontelandlofo for the first time. 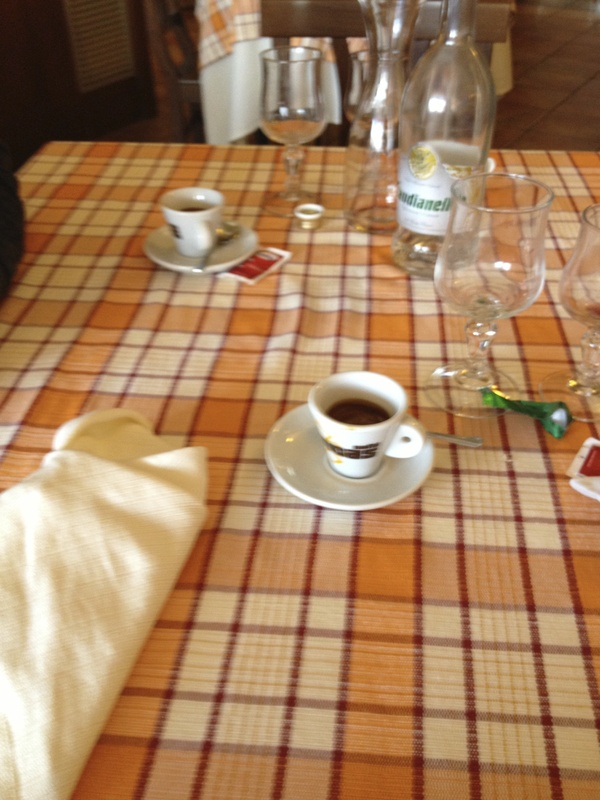 Being “Auntie Never Late”, my accommodating spouse and I set off a little after noon for the Naples Airport. The idea was to explore a town or two along the way. Being foodies we started salivating at the signs for fresh buffalo mozzarella and various local trattoria. What can I say, we slowly drove ignoring the incredible mountain vistas and looking for a place to stop for pranza. I’d spy something on the left and bellow there! Jack would swerve and through clenched teeth say look for something on the right. That was the right advice. It has a parking lot!!! The next place on the right was “Il Re Ghiotto”. It looked interesting and – this was incredibly important on a busy narrow street – it had a parking lot. Inside the tables all had sweet checkered table clothes and linen napkins. We could see the comfortable layout clearly because there was absolutely no one in the place. We knew why, but hated to admit it. We were hungry Americans who stopped for pranza on the early side of appropriateness – 1:00 pm. Being in mozzarella di bufola country we of course ordered a caprese salad to share, aqua minerale frizzante and vino rosso di tavola. Within moments toasted quarters of artegean bread appeared topped with diced tomatoes and fresh basil that had been marinating in the regions incredible olive oil. Yummy. I wondered if my Italian had been so bad that my “l’insalta caprese” sounded like “bruschetta “. I shouldn’t have worried, the bruschetta was simply a gift from the kitchen. Like every caprese salad we have had in Italy, the tomatoes tasted like fresh tomatoes not hot house drek and nothing beats really fresh mozzarella . Since we had about 5 hours before the flight was due and were only an hour from the airport, we ate slowly and savored every bite. For contorni we had rucola (arugula) that Jack pointed out must have been picked 5 minutes ago. They were tiny leaves perched in a bowl and served with bottles of olive oil and vinegar. He was born in Jersey City and lived there during his adolescent years. The family has a marble, granite and stone business in Patterson,NJ. 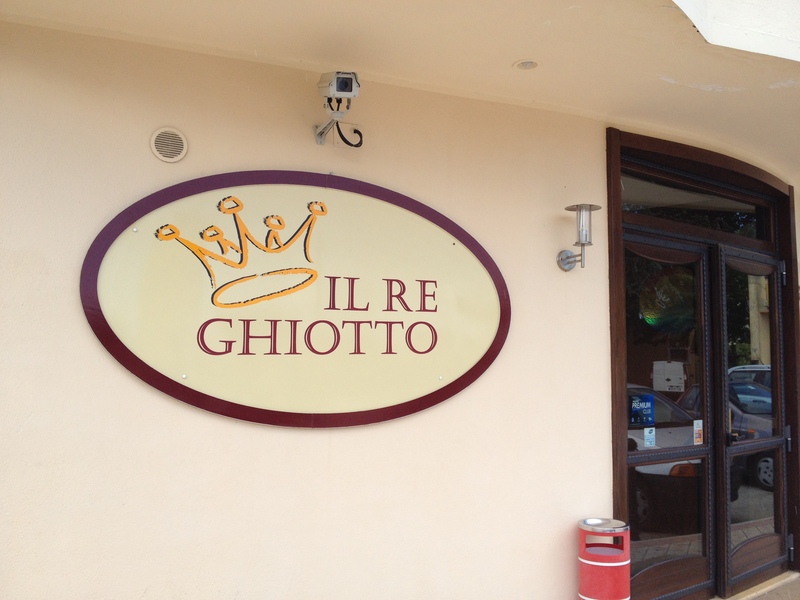 They also own the R\restuarant in Rotondi (AV). He and his parents fly back and forth often. We promised to come back the next time we made the airport trek and take a picture for this blog of his dad’s circa 1970s Cadillac Coupe De Ville sitting I the garage flaunting its NJ liscence plates. Where oh where did those little plates go? Tell Pasquale that the New Jerseyans sent you. Previous postPolitics Runs in the Family! Vote!! 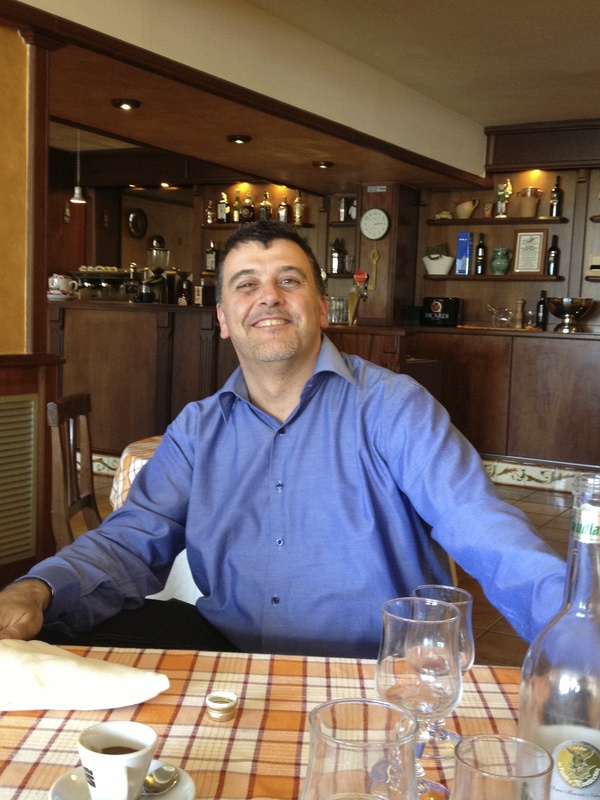 Next postPontelandolfo and Calcio – Perfect Together! Hmmm…maybe we should fly into naples…and stop here on the way….of course…you would have to remember where it is and we would have to find it! The address is in the post. The miracle of GPS will get us there again. Don’t you have the translation app on your iphone? I imagine it would come in handy when you see a dish with an unusual word. Did Pasquale say where in Jersey City he grew up? I ask because I grew up in “the heights” and had Italian friends. Tomorrow I learn how to make ravioli, you are inspiring me. No more scoffing! we want photos! I think it’s hysterical that not only could he tell that you were from America, but he even got the correct state! Love it. Cammille, The other day I was in the elementary school “interviewing” to be a volunteer madre lingue. I started off OK in Italian and then half way through could’t even speak English! UGGGGG The good news is I had a dream the other night that was half in Italian and half in English – I was constantly – in my dream saying “parla piu lentamente!”.